We recognize that reliability is the most important part of your partnership with RushTeamApparel. As a business solution provider with many local associations, we value our relationships and strive to constantly approve our services. At RushTeamApparel, we continue to support you even after the event has ended. With online ordering, mail orders, and customer service available for up to 6 months post event. 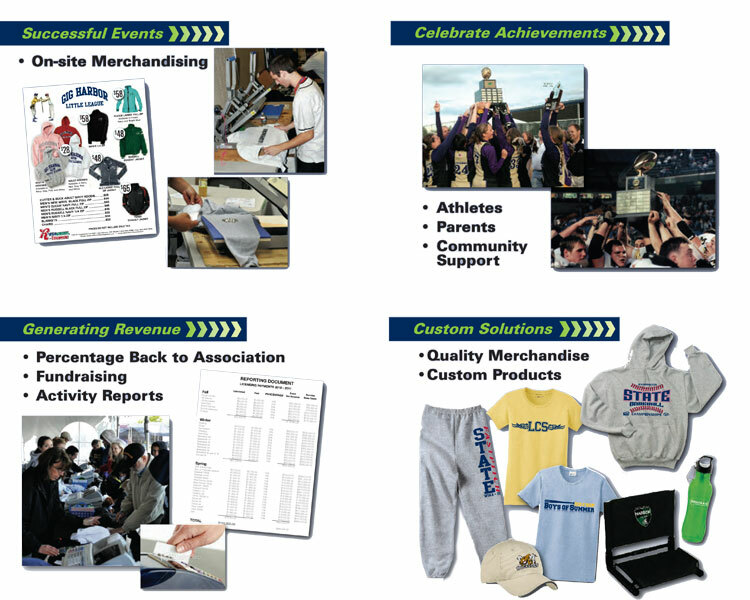 You can trust in us to provide merchandising solutions in a professional atmosphere. Our staff have been organizing athletic events for over 10 years and take pride in celebrating with you! Please contact one of our account executives to schedule a consultation for your next event (253) 858-5288.